Official videos put the spotlight on the coupe version in the range-topping S flavor. 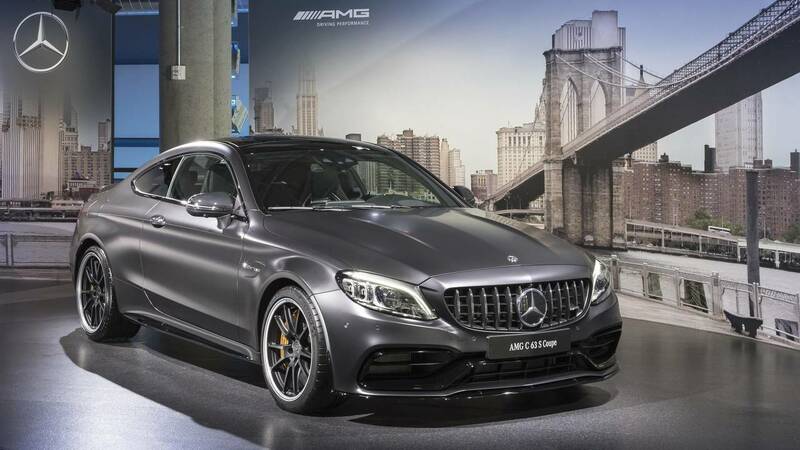 Following its world premiere last night at the New York Auto Show, the updated Mercedes-AMG C63 is making the headlines once again to show off the styling changes it has gone through for its mid-cycle refresh. The most obvious modification is noticeable at the front where the Panamericana grille gives all four body styles (sedan, coupe, wagon, cabrio) a more menacing appearance in line with other recent products from Affalterbach. The styling tweaks go beyond that shiny new grille as the back of the AMG quartet has also been subtly revised. The quad exhaust finishers have been reshaped and now come with a high-gloss chrome finish for a stronger visual impact, also enhanced by the slightly more aggressive diffuser. Go for the coupe and there’s an optional AMG Aerodynamics package bringing a beefier front splitter and spoiler lip, as well as broader side skirt inserts, and flics for the rear bumper hosting a high-gloss black “more expressive” diffuser. 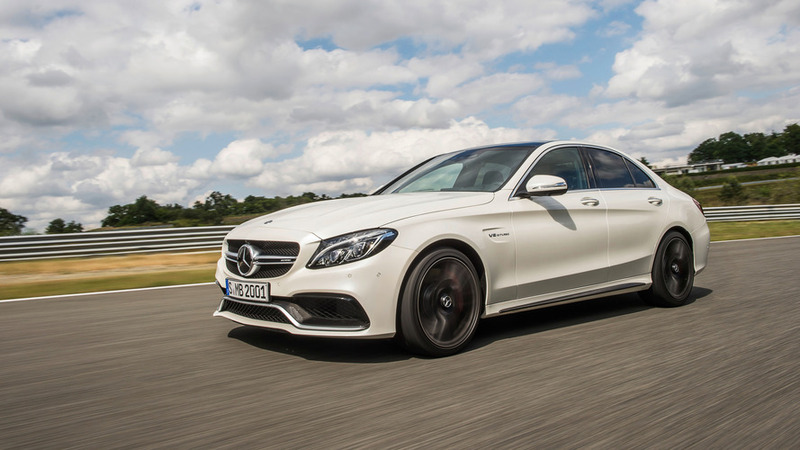 As standard, the C63 models ride on 18-inch alloy wheels, but fork out more money for the hotter S version and Mercedes will reward you with a bigger 19-inch set. Like before, the C63 S has another ace up its sleeve as it comes as standard with dynamic engine mounts reducing the vibrations coming from the engine and gearbox. Inside, the novelties mirror those of the lesser C43 models and the regular C-Class versions, namely a fully digital 12.3-inch instrument cluster and a 10.25-inch display for the Comand infotainment system. While the biturbo 4.0-liter V8 has been carried over with 469 horsepower and 503 hp in the S model, it’s now linked to a nine-speed automatic transmission or two more gears than before. It promises to deliver “an even more agile gearshift response” and will allow the quickest version of the bunch, the C63 S Coupe featured here, to hit 62 mph (100 kph) in 3.9 seconds before topping out at an electronically governed 180 mph (290 kph). You can check out the performance details and full technical specification of all four C63 models in the press release below.